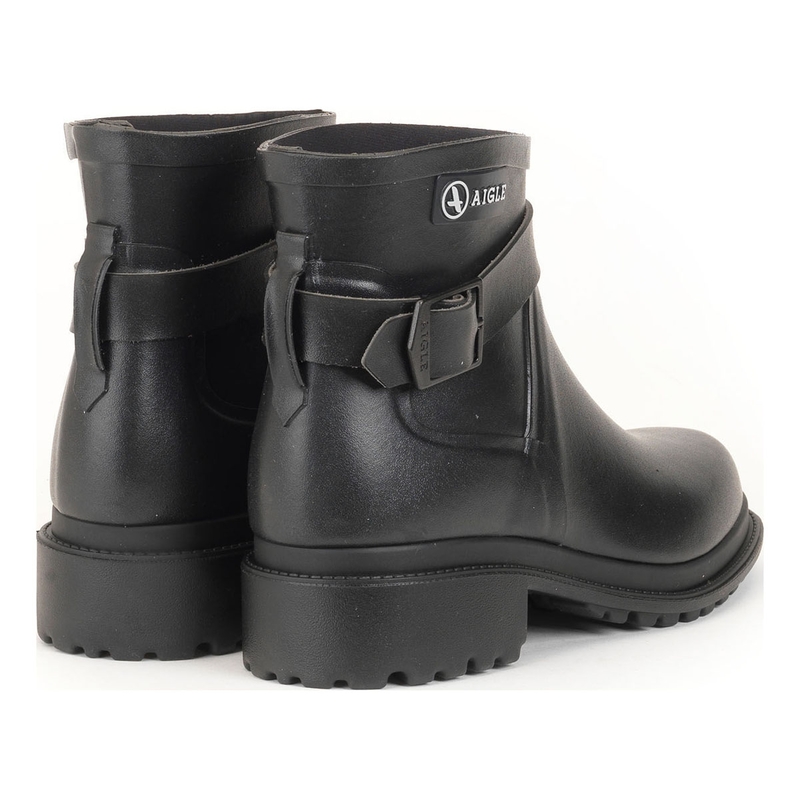 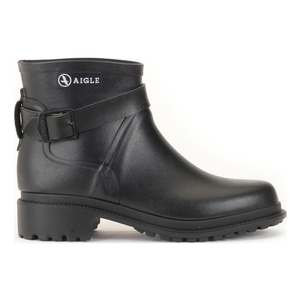 Aigle Macadames Low Womens Rubber Boots. 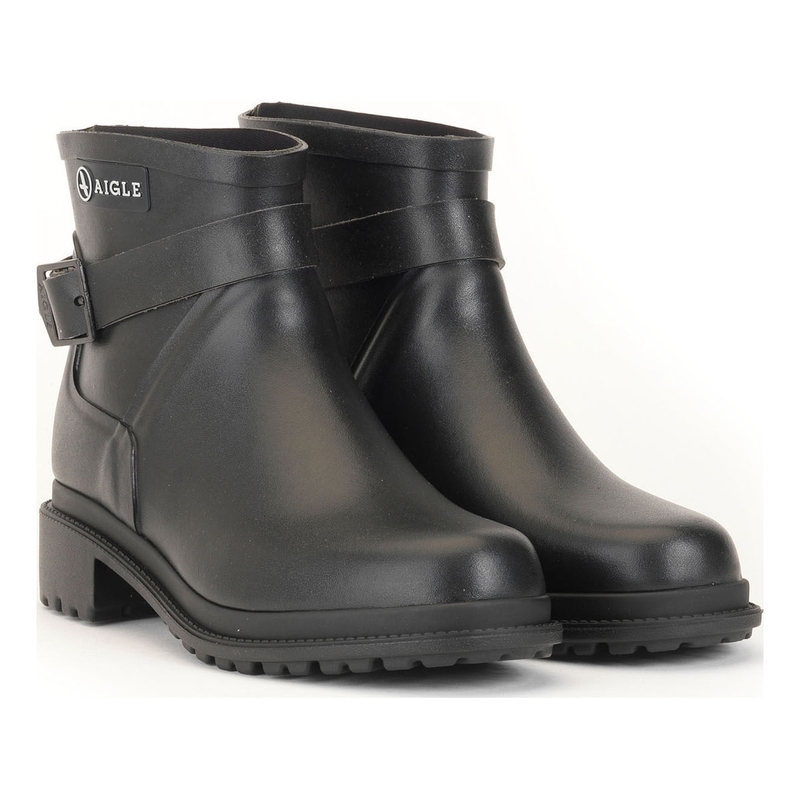 Boldly urban, these elegant ankle boots feature playful rock-inspired details. The discrete lugged sole, patterned welt and outer reinforcements all reflect the style of a leather boot.